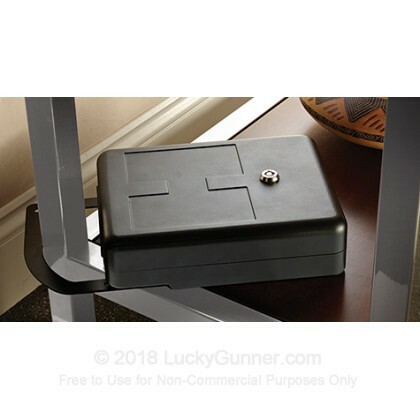 Dimensions - 10.25" x 8" x 3"
Hornady's innovative Shackle Box handgun safe features a large, integral laser-cut steel shackle that adjusts to lock around any fixture, up to 3.5 inches in diameter. 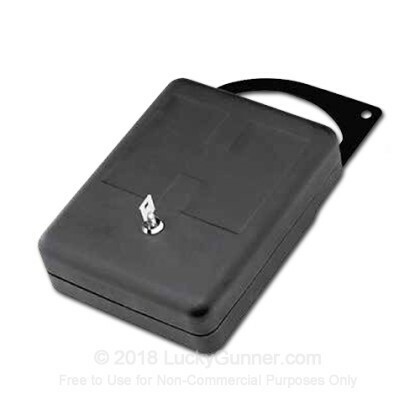 The Hornady Shackle Box is constructed from heavy duty 16-Gauge steel. 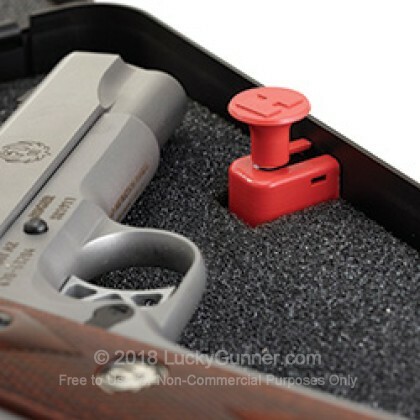 It is accessed via a single, cylinder lock, which operates Hornady's Tri-Point locking system. This handgun storage solution exceeds the ASTM International performance standards for youth resistant firearms containers. 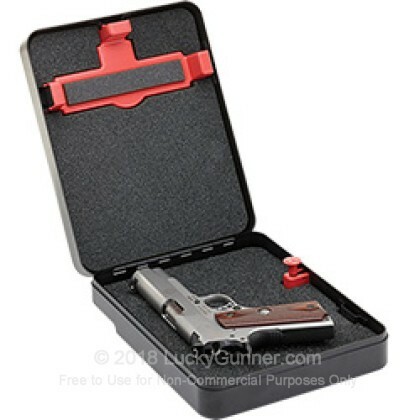 This safe meets TSA requirements for handgun security in luggage. Great product. 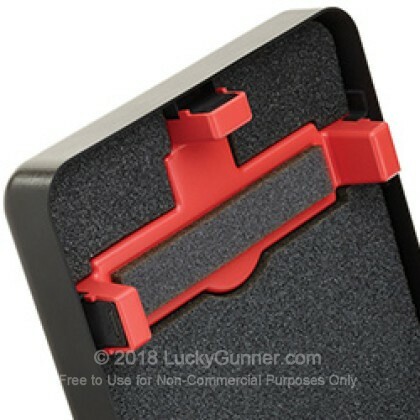 I feel much more secure now when I have to leave my carry gun in my vehicle while at work or shopping.